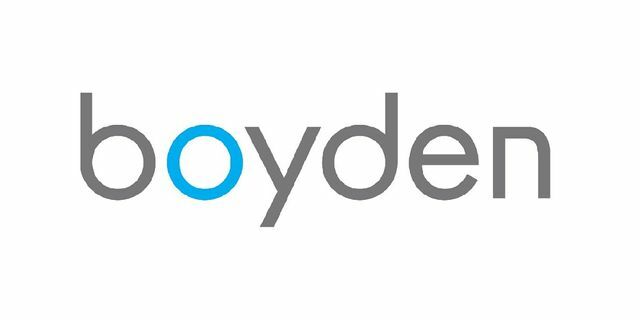 Boyden, a premier talent advisory and leadership solutions firm with more than 65 offices in over 40 countries, announced a new partnership with London-based Nicholson McBride to support client needs and continued growth in its leadership consulting businesses. The partnership with Nicholson McBride, one of Europe’s premier leadership consultancies, will provide greater access to critical leadership consulting services for clients of Boyden, which saw its global revenue increase by more than 14% in 2018. Boyden and Nicholson McBride’s leadership consulting offerings include the Boyden Leadership Model (BLM), Cultural Change, Coaching and Onboarding solutions as well as bespoke leadership development programs. Clients around the globe are increasingly relying on Boyden for expanded leadership consulting services, in addition to executive search and interim management. Boyden’s Leadership Model is a solution that assists client organisations in aligning leadership teams to implement strategy and achieve key business objectives. BLM is the result of proprietary innovations in leadership advisory services — a synthesis of empirical research and academic rigour, client collaboration, and business partnership with Nicholson McBride. It provides quantitative and qualitative analysis of nine core leadership competencies, grouped into three areas of intelligence: cognitive, social and emotional. Leadership Development: Senior leadership teams play complementary roles by co-creating leadership development programs that supercharge their collective abilities. This includes developing and executing strategy, as well as building dynamic leadership team relationships and effective decision-making. Talent Mapping: Whether an organisation is considering expanding into new markets, developing new products or analysing the competition, it can benefit from a detailed analysis of the talent landscape. Cultural Change: Even with the most robust strategy in place, companies that do not focus on culture experience greater recruitment and retention challenges. Boyden and Nicholson McBride partner with clients to understand the unique drivers and circumstances that inform the organisation and create the appropriate solutions to drive organisational change. Coaching and Onboarding: A thorough approach to onboarding with an executive coach has been shown to increase executive engagement and performance, reduce departures, and shorten the time to full productivity.